The town of Jupiter, located in northern Palm Beach County, is known for its peaceful seaside lifestyle. With miles of white sandy beaches and striking blue waters, Jupiter is home to the historic Jupiter Inlet Lighthouse, the Miami Marlins and St Louis Cardinals spring training facility at Roger Dean Stadium, Busch Wildlife Sanctuary and The Scripps Research Institute satellite campus. Just north of Palm Beach Gardens, Jupiter is minutes from shopping at The Gardens Mall, surrounded by over 400 restaurants and a short trip to West Palm Beach and the Island of Palm Beach. 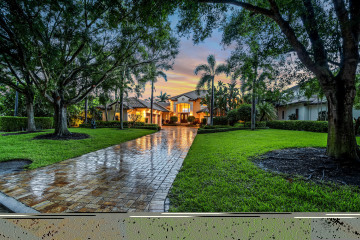 To begin exploring all that Jupiter Real Estate has to offer, try our comprehensive search engine. Jupiter is about 25 minutes from the Palm Beach International Airport, 1 hour and 45 minutes to Miami and 2 hours and 30 minutes from Orlando.